Solids tend to expand when heated. 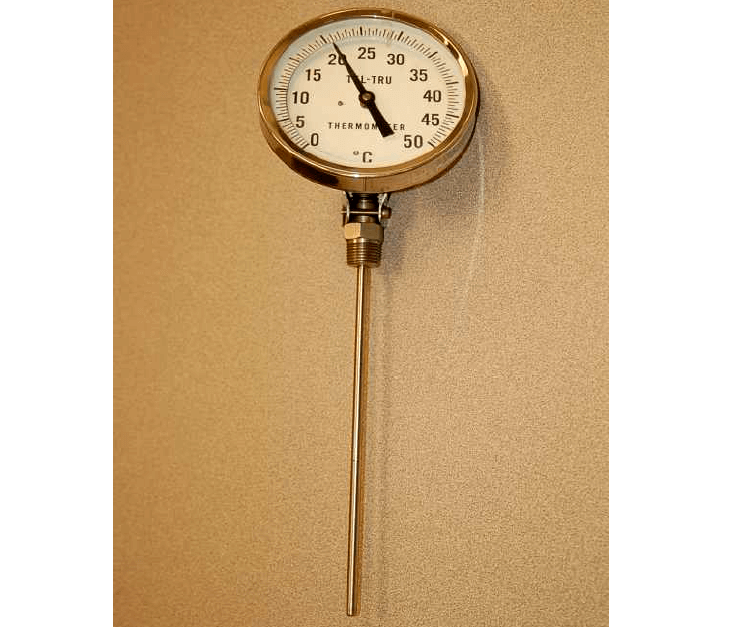 The amount that a solid sample will expand with increased temperature depends on the size of the sample, the material it is made of, and the amount of temperature rise. As you can see, the values for α are quite small. This means the amount of expansion (or contraction) for modest temperature changes are almost too small to see unless the sample size (l0) is huge. We can readily see the effects of thermal expansion in structures such as bridges, where expansion joints must be incorporated into the design to prevent serious problems due to changes in ambient temperature. However, for a sample the size of your hand the change in length from a cold day to a warm day will be microscopic. This bending motion is significant enough to drive a pointer mechanism, activate an electromechanical switch, or perform any number of other mechanical tasks, making this a very simple and useful primary sensing element for temperature. Fig : A bimetallic coil from a thermometer reacts to the heat from a lighter, by uncoiling and then coiling back up when the lighter is removed. Older home thermostats often used this principle to both indicate room temperature and to actuate electrical switches for controlling room temperature. Electric hot water heater units still use this type of device (usually in the form of a convex bi-metal disk) to sense over-temperature conditions and automatically shut off power to the heater if the water temperature exceeds a pre-set limit.